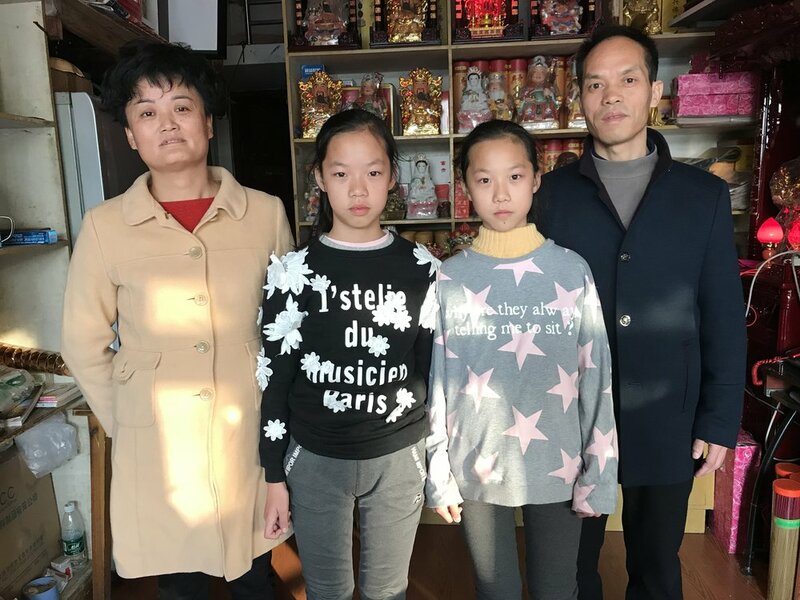 Mother, Zhu Yuan e, and father Xin Xian Shou, with their daughters inside the incense shop, 2018. Xin Xian Shou and Zhu Yuan e with the 2016 portrait of their daughters, during a 2017 visit. Mother, Zhu Yuan e, and father Xin Xian Shou, with their daughters inside the incense shop, 2017. Zhu Yuan e with Culture Ministry official Zhau Yu Peng, during our 2017 visit. Father, Xin Xian Shou, and mother, Zhu Yuan e, with their daughters inside the incense shop. Mock magazine cover for a university visual communication class,.